Cross the border from Slovakia after the town of Levoca, and aim for Poland. Suddenly the landscape is alpine, a place to stay is just over there, but it is still so light, we can go on just a bit further. So we did, and almost regretted it. 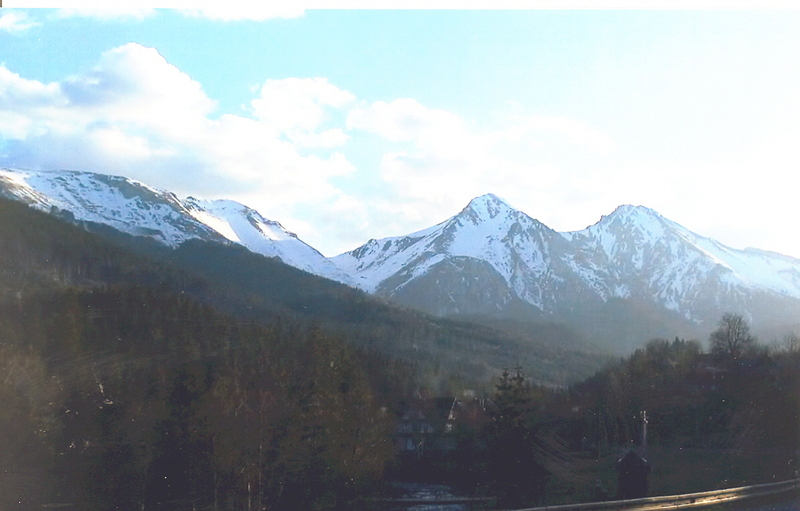 Our destination was the Polish town of Zakopane, known for hiking and skiing. Surely it would be no problem. We are too accustomed to gas on demand, and lighting where we want to go. But dark comes quickly; and the tank plummets. 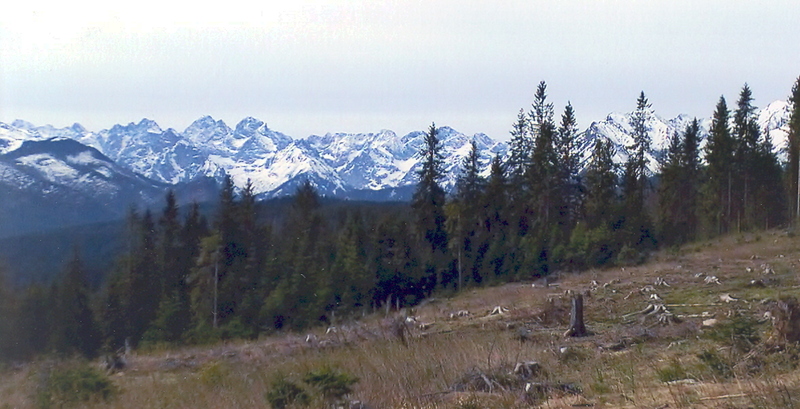 Moral: to avoid travel anxiety, gauge the daylight carefully before heading into mountains. We were fine, but had no idea now much farther we had to go. Are these particular photos from across the border into Poland already? My notes are not clear. We do have a Poland Road Ways, and also posted these there.